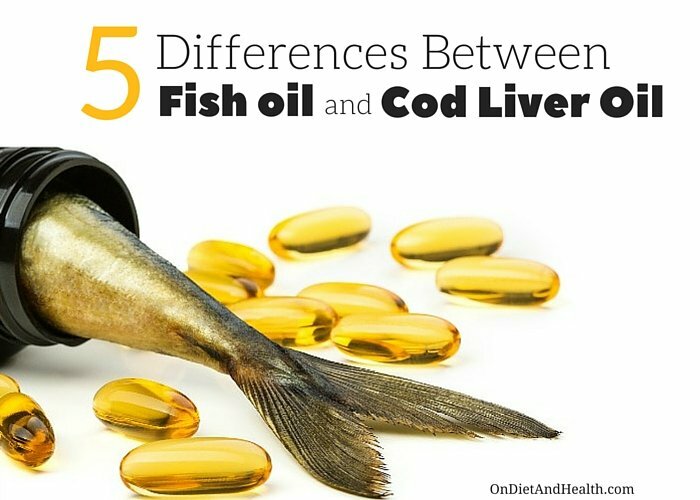 I’m often asked about differences between fish oil and cod liver oil. Which is best? Both have anti-inflammatory EPA-DHA, but there’s more to know before buying. Eating oily fish such as wild salmon and sardines twice a week is important but it makes sense to supplement a small amount of Omega 3’s as well. So, Fish Oil or Cod Liver Oil? One thing is true for both. Quality counts! The brand, the processing method and the type of fish all matter. Bottom line: Extra Virgin Rosita Cod Liver Oil is my pick for either Cod Liver Oil or “regular” Fish Oil. It’s higher in the preferred DHA and its Vitamins A and D are a bonus. EPA and DHA are Omega 3 fats extremely important for the brain, cardiovascular system, eyes, nervous system, thinning the blood, and as anti-inflammatories for pain and inflammation anywhere in the body. They are primarily found in seafood, coming from the algae and crustaceans that fish eat. A few fresh water fish also eat algae and contain some EPA and DHA. EPA is a required, “essential”, fatty acid. We must get EPA from food as we cannot make it ourselves and we require it for health. We can however make DHA out of EPA. DHA is actually more important than EPA and our ability to convert EPA to DHA (but not the other way around) confirms the preference I see for DHA when muscle-testing in the clinic. I prefer products with higher DHA than EPA – Rosita Cod Liver Oil liquid (or find it in gel caps here) and this algal oil for example. Flax and a few other seeds indirectly provide some Omega 3’s, but not as EPA or DHA which only come from seafood and algae. But here’s the bad news… the fish oil market is full of misleading advertising and labeling. 1). Cod Liver Oil contains Vitamins A, D and F (a full spectrum of fatty acids including EPA-DHA) from the livers of cod fish. 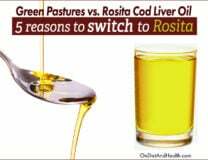 Rosita and Green Pasture brands of Cod Liver Oil contain the natural form of A and D along with the Omega 3’s. Other brands add synthetic A and D after processing has stripped out the real stuff. 2). Fish Oil comes from the bodies of oily fish such as mackerel, sardines, herring and anchovy. Fish don’t make Omega 3 oils – they consume them in plankton and microalgae in their diet. Fish Oil contains only EPA and DHA with no vitamins. Shark, tuna and swordfish contain EPA and DHA but are too ecologically sensitive to harvest for oil. Salmon oil is usually made from farmed salmon and thus contains little EPA or DHA. However, Vital Choice uses wild salmon for their fish oil. It’s a good product but still highly processed (see below). 3). 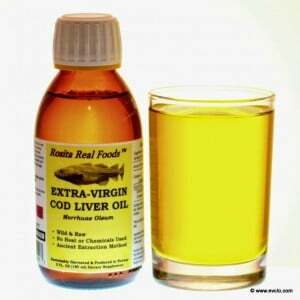 How is Cod Liver Oil processed? There are three ways to process cod liver oil, and more than one kind of cod fish. Getting quality cod liver oil with its natural A and D is really rare. That’s why I only recommend Rosita Extra Virgin Cod Oil. Read my article and podcast notes on Rosita here. National brands such as Carlson’s and Nordic cod oil are highly processed with heat, chemicals, microfiltration, vacuum pressure, deodorizing, bleaching, flavoring, degumming and alkali neutralization. They are the equivalent of “no-no” factory processed vegetable oils such as canola and corn oil. Microfiltration removes all but a fraction of the vitamins, so synthetic vitamins A and D may (or may not) be added back. This explains why Nordic Natural’s “Arctic” Cod contains almost no D or A. It’s filtered out and none are added back. This is false and deceptive! Green Pastures brand of “fermented” CLO has a different approach which I cannot endorse. The livers of pacific Pollack are extracted from the fish and sent to Nebraska to be aged in enormous vats. The oil is collected over time as the meat breaks down and the oil rises to the top. It is brown with a distinctive harsh taste and smell. This is similar to the method historic Norwegians used for their lower grade of oil. “Off-peak (non-winter) livers could be kept in brine barrels to slowly deteriorate, allowing the oxidized oil to separate from the meat and fluids. This oil could be used for lamp fuel, coating boats and tools, and for general lubrication. It could also be consumed if supplies of “the good stuff” ran out”. (Quote from Rosita research archives). 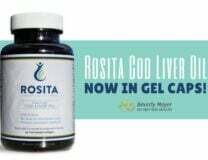 If you want unfiltered, raw, non-oxidized Cod Liver Oil with intact Omega 3’s and Vitamins D and A, Rosita is the only choice in my opinion (and in my muscle-testing in the clinic against Green Pasture brand. That brand often tests weak on people, particularly those with compromised immune or detoxification systems such as Autism). Rosita is light gold in color (unlike the dark brown Green Pasture brand) and has a mild, only slightly fishy taste that I don’t burp. I take a teaspoon daily and chase it with a bite of food. 4). How is Fish Oil processed? Most Fish Oil is processed from whole fish or scraps after canning. The fish meal is highly heated and “purified” to remove heavy metals and other contaminants absorbed from ocean waters. Most fish oil smells bad if you open the capsule, or makes you burp. Both are signs of poor product. The vitamins are stripped out of the oil by the molecular distillation process, leaving only the EPA and DHA. Fish Oil has no vitamins – that’s one of the main differences between fish oil and cod liver oil. 5). What about Krill Oil, Algal Oil and Salmon Oil? Krill is a crustacean that eats phytoplankton. It’s oil is rich in EPA and DHA. In general, Krill oil is not recommended by me although it is by other websites. Harvesting these tiny crustaceans is difficult, and processing their oil may ruin the oil. Algal Oil is high in DHA – that’s a good thing – but it is genetically engineered. It’s a coming thing for cooking oil, biofuel and more. Despite this, it may be less damaged by heat and processing than other “fish oil”. Worth a try…. I sell this one in my clinic as it has good antioxidants for the eyes added to it. Salmon Oil quality depends on the salmon being wild, not farmed, and on companies honestly labeling the manufacturing process. I trust Vital Choice Salmon Oil more than other brands. I believe it is less damaged than brands like Nordic, Carlson’s or Costco. Never take D without K2. I have many articles and podcasts on K2 and sell several brands online. If you take Vitamin D in cod liver oil or in supplements, always take K2 as well. This protects you from depositing calcium where you do NOT want it in your body – the arteries, gall bladder, joints and kidney stones for example. 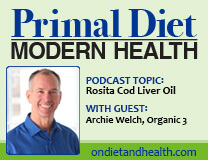 Why is Rosita Cod Liver Oil So Good For You?